Citrus farmers are looking for answers in an unlikely place. Today, one of their greatest enemies, citrus tristeza virus (CTV), stands to become their most powerful tool against widespread disease destroying citrus crops in the southern United States. In the past decade alone, U.S. orange production has declined by fifty percent due to citrus greening disease. With a $3.3 billion dollar industry at stake, Southern Gardens Citrus agricultural company hopes to use a genetically engineered version of CTV, a former enemy of citrus fruit, to kill its current aggressor. Citrus greening disease is caused by a bacterial genus Candidatus Liberibacter and is spread by insects called Asian citrus psyllids. As a result of the bacteria, citrus trees produce oddly shaped fruits with green lower halves. The rush to save the citrus is ongoing and Field trials of engineered CTV are being conducted. The USDA is also currently assessing the possible environmental effects of the engineered virus. If the USDA approves requests to use genetically engineered CTV, it will be a first for the widespread commercial use of genetically engineered crops. However, the engineered virus is only one of many possible solutions to solving the problem of citrus greening. Geneticists are getting creative to save the citrus industry from further damage. 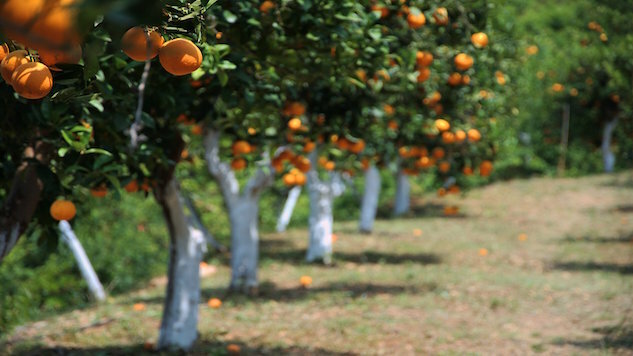 One proposed plan calls for the use of CRISPR-Cas9 to alter the genome of citrus trees, making them resistant to the bacterium that causes citrus greening, or engineer trees to express defense genes against disease. But, with many consumers hesitant to purchase juice or fruit from a genetically modified tree, Southern Gardens Citrus aims to alter the genome of a strain of CTV so it may produce a defense gene to rid citrus trees of harmful bacteria. Without altering the fruit, the company may keep claims that their fruit is not genetically modified and hold the trust of unknowing consumers. The latest in genetic technology could be the answer to citrus greening, and it may also blaze the trail for more genetic engineering in food growth and production— but are people ready for that? Well, citrus growers sure are.